Scotland has had it's wettest June, according to provisional Met Office figures. Scotland has had one of its wettest Junes on record, with some areas in the north seeing more than twice the average rainfall. Provisional statistics from the Met Office put the last month on a par with 1938, with 156mm of rainfall measured on average. In the north-east, Fyvie Castle, Aberdeenshire has seen more rain of any June since records began over 50 years ago. Some 128mm rain was measured there. And water has also gushed down from the skies in Wick, where an all-time record of 124mm was measured. That makes it the wettest June since records were introduced more than a century ago. The figures come despite a spell of hot weather in the middle of the month. The warmest temperature measured in the UK was 34 degrees at Heathrow. Climate scientist Mike Kendon said: “This June has had an interesting mix of weather, bringing not only hot conditions that persisted in the south for some time but also persistent rain in the north. 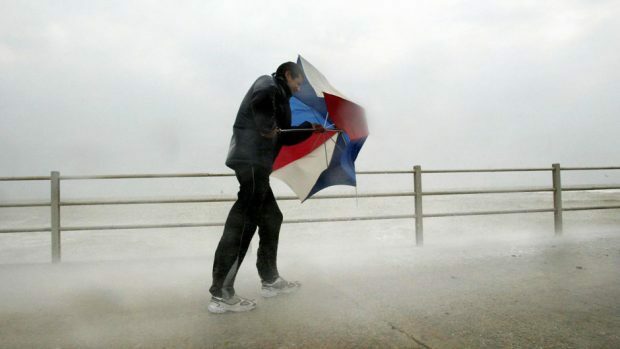 England also experienced some unusually strong winds early in the month. Despite the damp conditions recently, folk in the north of Scotland should expect to enjoy drier weather this weekend and heading into the rest of July.